In August, SIGGRAPH 2018 showcased inspiring, bleeding-edge technologies that are expanding the human experience in the areas of health, home, and entertainment through the Emerging Technologies program. The cream of the crop was “Steerable Application-Adaptive Near-Eye Displays,” SIGGRAPH 2018 Emerging Technologies Best in Show award winner. The project, jointly created by NVIDIA and the University of North Carolina at Chapel Hill (UNC Chapel Hill), demonstrated a new fabrication technique for a custom optical component that enables users to explore new design spaces for augmented reality displays. We went behind the scenes of the winning project with two of its creators, Kishore Rathinavel and Kaan Akşit, to learn all about its journey to SIGGRAPH 2018. 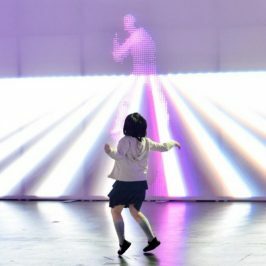 SIGGRAPH: What challenges was your project attempting to mitigate? Kishore Rathinavel and Kaan Akşit (KR & KA): In optical design projects, you can run into several designs that need free-form optics for which previous fabrication techniques are expensive and the lead time can be several weeks. In our approach, we used readily and largely available techniques such as 3D printing, CAD modelling, and off-the-shelf components to come up with a low-cost, rapid prototyping pipeline for custom optics. 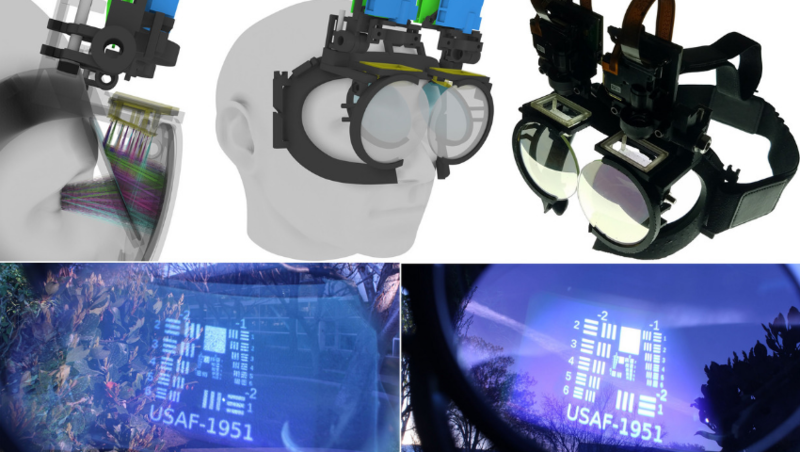 To demonstrate our new optics fabrication pipeline, we prototyped a few different augmented reality display designs. 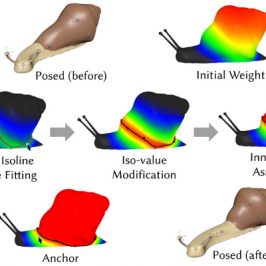 Each design demonstrated a different technology such as application-adaptive accommodation support, foveation, steerable eyebox, and field-of-view. Some prototypes combined multiple technologies in the same device. SIGGRAPH: Where did the initial idea for this project originate, and how long did it take to complete? Did the project evolve in any unexpected ways throughout its journey? KR & KA: We started the project in May of 2017 and completed the project just before SIGGRAPH 2018. At that time, we were considering several challenges in near-eye displays, in particular foveation. All our ideas, which we simulated in software, resulted in custom optical designs for which then-known techniques were expensive and slow. At around December 2017, we realized that it may be possible to use 3D printing and hand polishing to create custom optical components, and our initial experiments were successful. 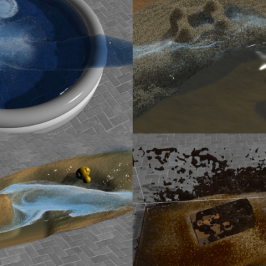 We were intending to use this technique to verify our software designs, however, with more innovation in the fabrication method, such as using vacuum forming instead of hand polishing, we realized that we had innovated in a different direction. We ultimately ended up pursuing the space of 3D printing for optical designs. SIGGRAPH: Can you talk a bit about how the team for this project formed and what the various roles were? 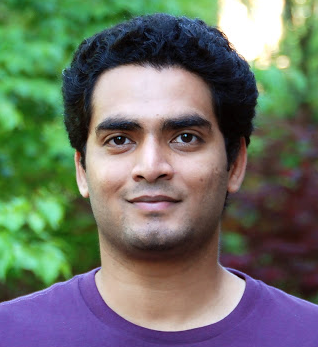 KR & KA: Kishore Rathinavel and Praneeth Chakravarthula are PhD students at UNC Chapel Hill, and were interns at NVIDIA Research during summer 2017. During the internship, their manager was David Luebke and were supervised by Turner Whitted, Kaan Aksit, Josef Spjut, and Ben Boudaoud. Turner, Josef and Ben are experts in graphics and electronics, and Kaan is an expert in optical system design. After the summer internship, the team continued to collaborate with the students working at UNC Chapel Hill under the supervision of Prof. Henry Fuchs. 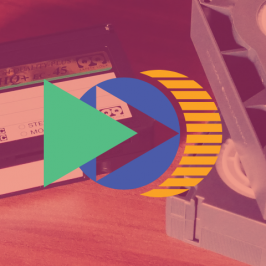 SIGGRAPH: Let’s look into the future. Where might this technology go from here? KR & KA: We don’t envision it as a replacement of high-quality optics manufacturing which is done with glass, but with some more tests and trials, it may be possible for this technology to mature into businesses that caters to the need for optical design verification and rapid iterations of optical design. The new workflow could be to iterate on optical design with software and our inexpensive and fast fabrication pipeline until the design is finalized, and then invest a lot more money for the final optical system manufactured with glass. 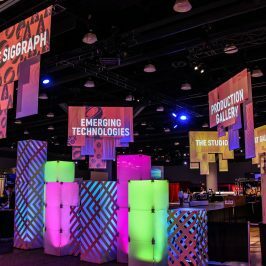 SIGGRAPH: Now that you’ve taken home the gold in SIGGRAPH 2018’s Emerging Technologies program, what’s next for you? 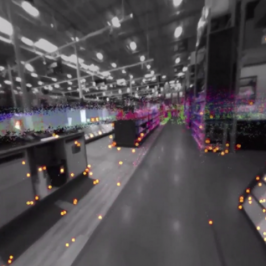 KR & KA: We’re all Graphics, Augmented Reality, and Virtual Reality display enthusiasts. Developing a rapid prototyping fabrication pipeline for custom optical designs was a fun digression, but, we plan to get back to developing new display technologies. 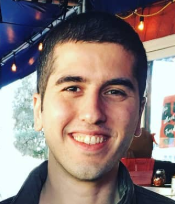 Kaan Akşit received his B.S. degree in electrical engineering from Istanbul Technical University,Turkey in 2007, his M.Sc. degree in electrical power engineering from RWTH Aachen University,Germany in 2010, and his Ph.D. degree in electrical engineering at Koç University, Turkey in 2014. His research through Ph.D. was focused on autostereoscopic displays. During his M.Sc. and Ph.D. studies, he worked as an intern at Philips Research in the Netherlands, and Disney Research in Switzerland. Since 2014, he is a researcher at Nvidia and focuses on novel display technologies for augmented and virtual reality applications.